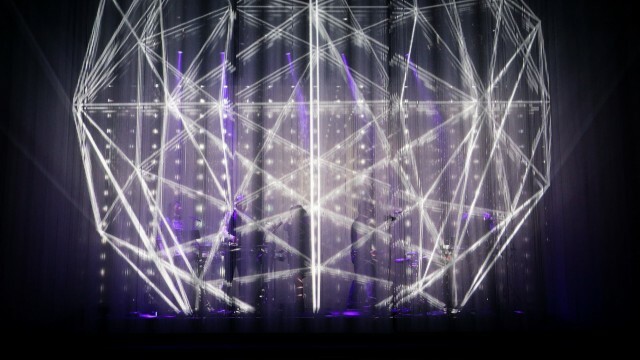 Enveloped by a sculptural projection of light, the band performed amidst a shimmering visual spectacle. Photo courtesy the artists; check out their Instagram. 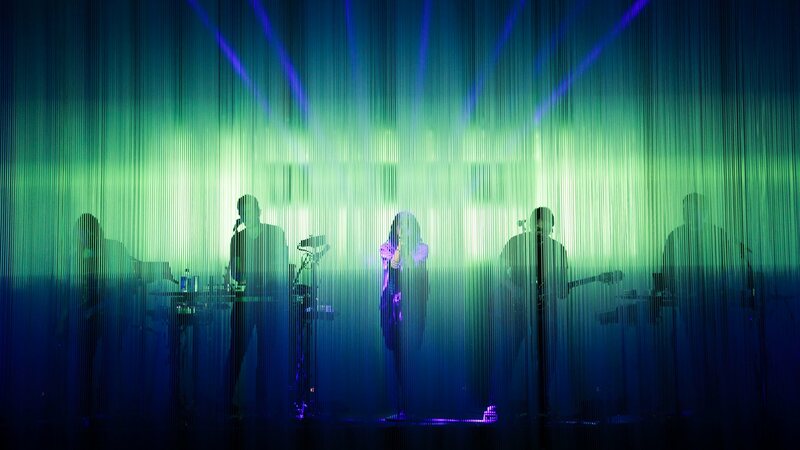 There’s a great write-up on Wired; what’s doubly nice about this is that it’s helping music journalists at Coachella understand the potential of live visuals – starting with the headline. Thanks to Jeff Blagdon and The Verge. 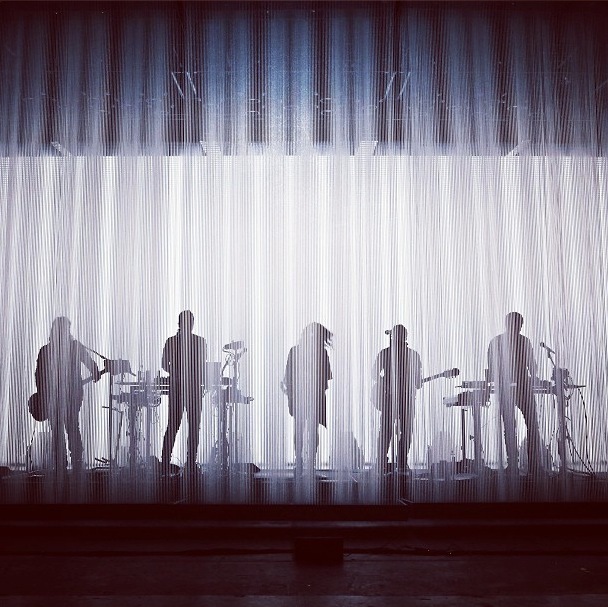 I certainly won’t argue that Trent Reznor has stage presence the rest of us can only dream of. But to imply that electronic musicians aren’t musicians, or that electronic instruments – including laptops – aren’t “real,” seems to me a bit out of step in 2013. To put it another way, I can’t blame my MacBook if I don’t have the charisma of Trent Reznor. The example here is poetic in conveying a sense of abstract experience alongside live performance. And that’s a model that could be applied to a lot of genres of music – including electronic ones. Even if you don’t have Trent in your band.